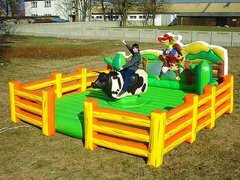 We have extreme attractions at Blugrass Rides.com. 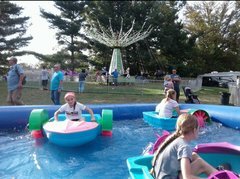 Mechanical Bull rentals, Mobile Rock Climbing wall rentals, Walk on Water Balls, Euro Bungy, mobile Euro Bungee, and our Water Boat Peddlers. WOW waterballs are getting very popular this year so if your looking for Extreme Attactions we have what your looking for.